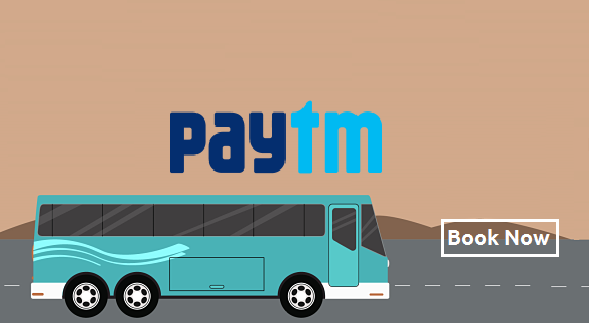 Plan your bus travel now and save more with Paytm. 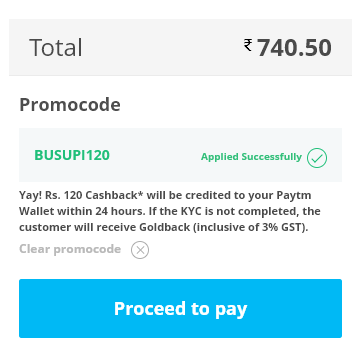 Now get 100% cashback upto Rs.120 on Bus ticket booking paying via BHIM UPI. Time to visit your friends, relatives and professional work and to save more !! 4. Apply code “BUSUPI120″ in “Have a promo code” box, you will get a message that “Coupon successfully added”. 6. Done !! Cashback will be credited in 24 hours.